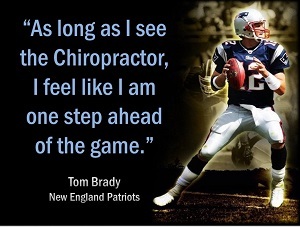 For decades chiropractic has helped millions of people, including professional athletes, maximize their health potential. Good health has always been an important issue for mankind. However, the demands of living in the 21st Century are putting more stress on our bodies. More than ever before, we realize today the vital need to keep both body and mind functioning at high levels. We admire athletes who take care of themselves and reach peak levels of performance. We have similar goals, but the important question is: How do we reach the “good health” goals? For decades chiropractic has helped millions of people, including professional athletes, maximize their health potential. As the stress of modem life creates more demands on individuals, many are turning to chiropractic to reach and maintain excellent health in their everyday lives and in the sports arenas of the world. Decide now to turn to chiropractic care to help give you the chance to feel great and enjoy an active Experience results!